My surgeon has spoken with my physiotherapist (who knows my hips best at the moment, and know how badly my deteriorating left hip is affecting my right hip and knee) - and he's bumped me up another category on the waiting list! So I've gone from a Category 2b (which I gather means "in pain, disabled etc but condition not deteriorating") to Category 2a (in pain, disabled etc but condition is deteriorating). This hopefully means surgery in less than 6 months, although the scheduling isn't up to my surgeon, but the hospital. So one part of me is saying "Yay!" and another part is saying "Ohshitohshitohshit!" - will be so very good to have it all DONE. Here's another part of my 'surgery tool kit' - Bio Oil - this was recommended to me by other hip women, as a good way of treating the scars. Mind you, I've lived with massive scars around the groin and down the side of my left leg nearly all my life - around 130 stitches - not to mention scars from 2 Caesarians (my pelvis is too deformed for babies to get out!) - so I don't know that a new scar will make much difference (and possibly they'll cut along the old main scar anyway). Still, I'll give this stuff a try. Use triple antibiotic ointment on your scar for a year (this will prevent the purple discoloration and visibility) - from a burn nurse. Moisturiser is as good as any of the (much more expensive) scar preparations - it's the massaging action that is more important - rub it quite firmly to break up the scar tissue underneath - from an orthopedic surgeon. Vitamin E oil can be good for smaller scars (but THR/PAO scars don't fall into this category!). Cocoa butter can be good too. It's often marketed as 'stretch mark cream' for pregnant women. After surgery, eat a good diet with plenty of protein (building blocks for the skin), avoid alcohol (dehydrates you and generally impacts on your health negatively), drink plenty of fluids. And rest, don't push the limits! Your body needs time to heal. Follow your surgeon's advice on wound care. It probably won't be safe to apply ointments / creams until after the stitches are out / dissolved. Don't put stress on the incision site by moving / lifting things etc - whatever movement affects the region. Avoid exposure of the scar to sunlight. Once the wound has healed, firm massage can help even out the bumps or lumps. About.com has a good article on the subject. PS I'm nearing my 500th post (about 4 posts away), and will be giving away a free signed copy of my book "Word Searches for Dummies", chosen at random from anyone who leaves a comment - spread the word! i hear bio oil is great stuff! Hooray for the upgrade. Now what can we do about the psychological scars? Spinning and simple knitting - bio-oil for the psyche. Ohshtoshitoshit should be a new puzzle word! For scar treatment, I highly recommend making sure you have a good diet with plenty of lean protein, fresh fruits and lots of veggies. You heal from the inside out that way, too! 500 is a very good number. Maybe we will be the random lucky ones! After my surgical wound closed (it was smaller, but involved orthopedic work), I put lanolin on it twice a day for months, especially while I was doing physical therapy, to keep it soft. Dunno if that did the trick, but doctor and nurse types admire my scar and tell me how 'minimal' it is. Plus lanolin is sheepy. Just throwin' out the information, here. Whatever you use, I hope it works. Maderma supposedly works great as I am just starting to use it on my scar....but it's not cheap. That seems like good advice. But, I think the thing that helps scars the best, or did for me... Percocet. You see, if you're taking pain meds, you don't really care what the scars look like. Morphine is also good for scars. 2a? Thank heavens for that! I'm finding that scars aren't so much the big deal as the stuff that goes on underneath them - adhesions and the like. So, 'massage firmly' like mad, m'dear! It's weird being scared of an operation but really trying to get bumpbed up on the list. Another of life's little contradictions! Hi Denise, good luck with getting the surgery done soon. 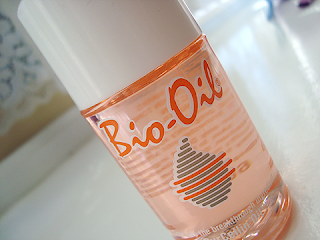 Bio oil is great stuff - I used it on all my scars last year. Hope the surgery comes at that perfect time for you. we just might have our surgeries @ the same time. I like using non-petroleum based product & my favorite is Boiron-Arnica cream.It's great for bruising & swelling. Cellfood gel is amazing for scars & the internal liquid is nothing short of amazing for my healing process. You can find both of these @ most health food stores. Well, I'm glad that your status is moving up. I admire your preparation. No one ever told me how to car for scars. I had so many from one surgery that at my last exam my dr said I have so much scar tissue that it is not helping with my Fibro. I am going to pass your info on to a friend. I guess that it is probably too late to do anything for kid induced stretch marks. bummer! Oh my God Girl you sound like a walking miracle.